Is Dara suffering from back pains? 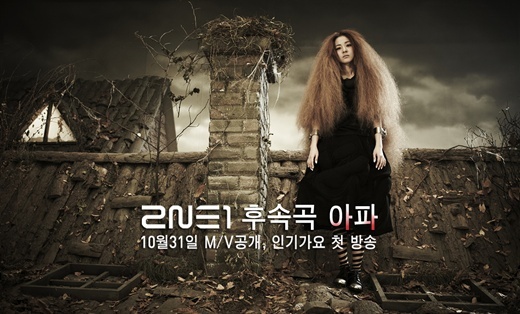 Fierce YG ladies, aka 2NE1 will release the MV for their next song, “I’m Hurt” on Halloween. Instead of getting excited to see them perform the song live on Inkigayo this Sunday, all I can think about was how long it took Dara to get her hair to look like that. In fact, I wonder if she’s still suffering from back problems by wearing hair that’s twice her size. Eric is back! Eric is back! Eric is back!